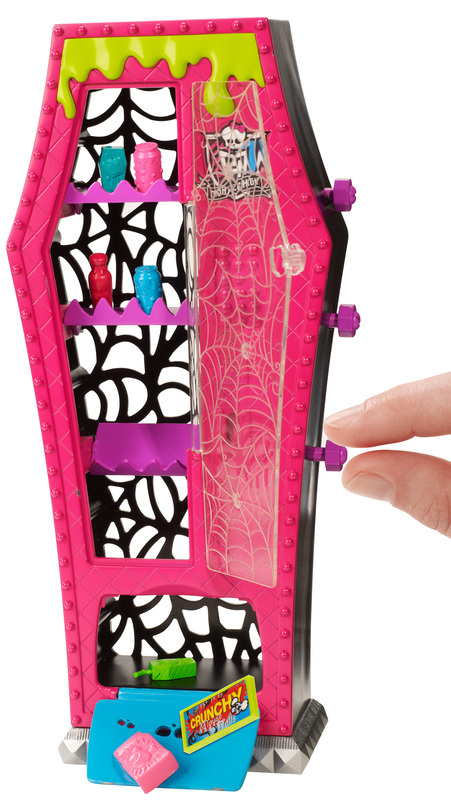 Monster High is filled with creepy cool places to fang out when not in class. 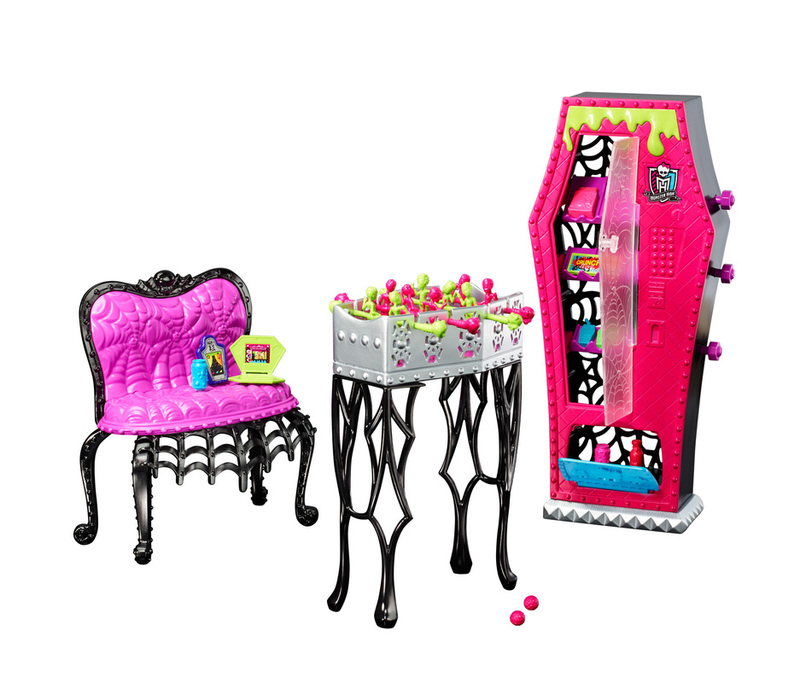 This Student Lounge set lets girls play out favorite scenes from the webisodes! Ready for all the ghouls’ break-time needs (dolls sold separately), this creepy environment features monsterrific play spaces and pieces. 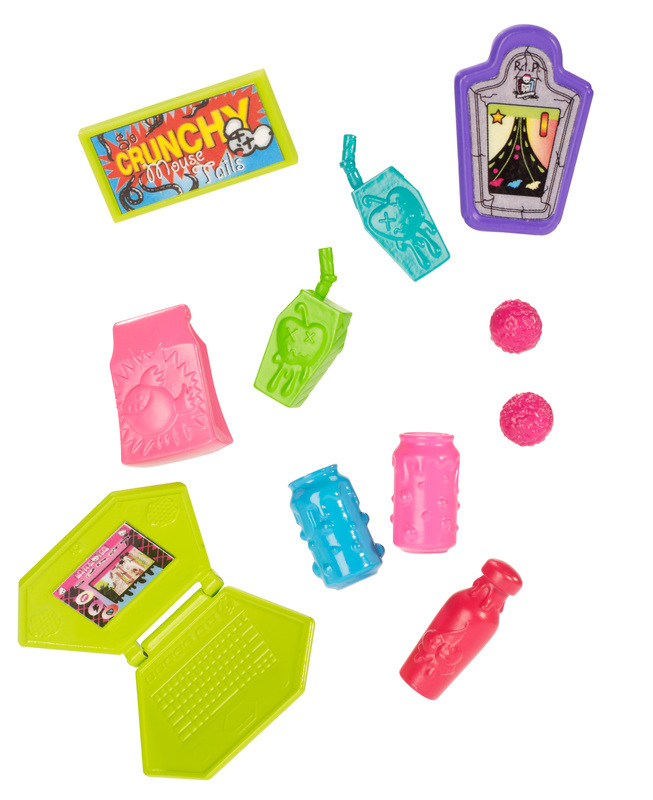 Those with a monster appetite or thirst can grab a ghoulish snack from the web-decorated vending machine. Open the webbing in the back of the unit to load; grab selections from the bottom drawer with its working door. Clawesome options include piranha crackers, cherry juice, two sour apple juice boxes, two soda cans and crunchy mouse tails. Ghouls who are dead tired can relax on the spooktacular pink and black sofa and chase their GFFs with the laptop or iTomb. Others who want to wake up from the un-dead can try to bury the competition on the working game table - twirl the rods to watch the zombies kick around a brain ball (two are included). 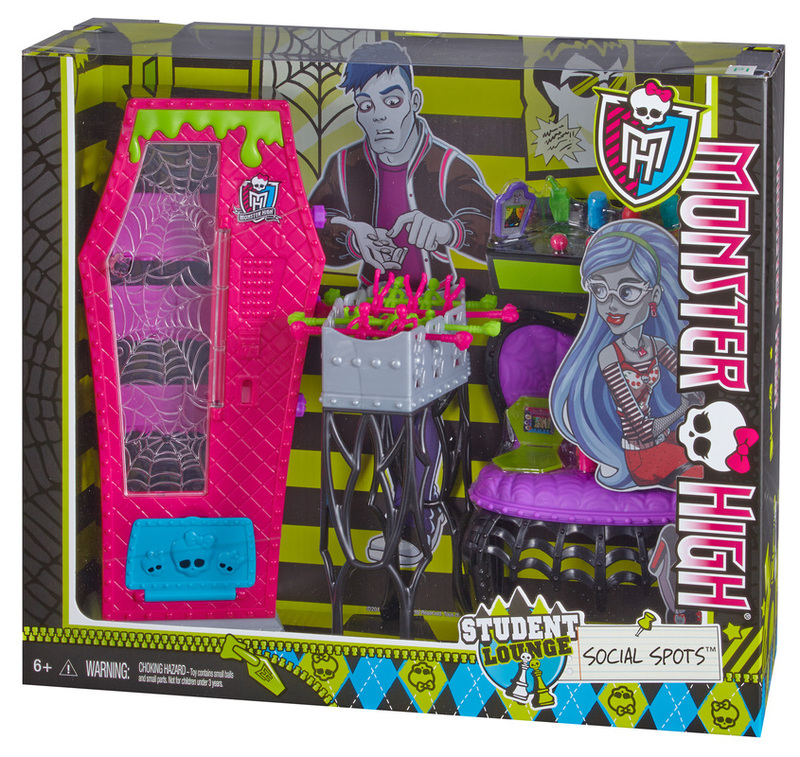 Collect dolls and other school accessories (sold separately) to expand the play to Monster High proportions! 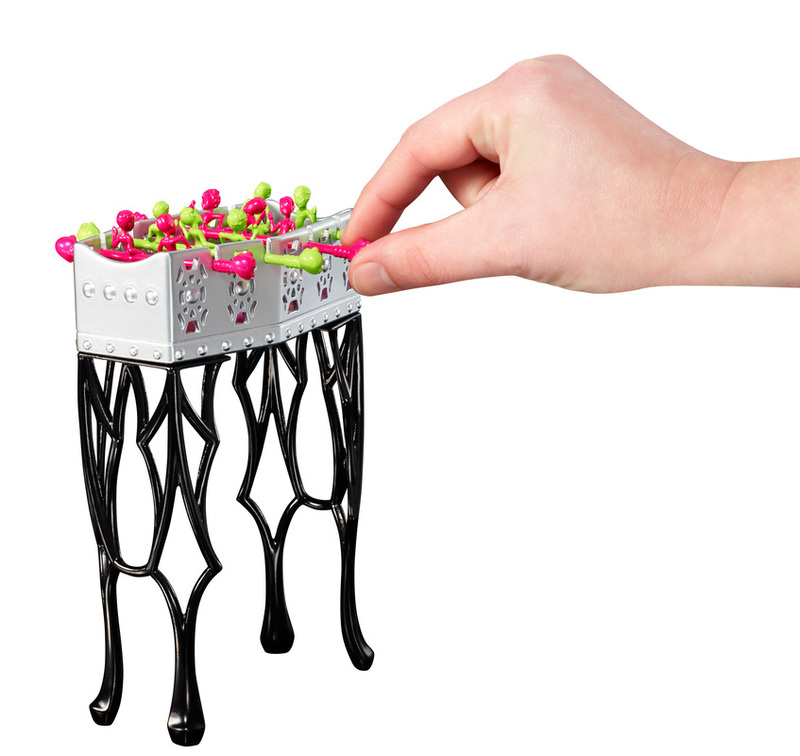 Includes “vending” machine, working oozeball table with two brain balls, sofa, miniature laptop, iTomb and ghoulish snacks; dolls not included. Ages 6 and older. 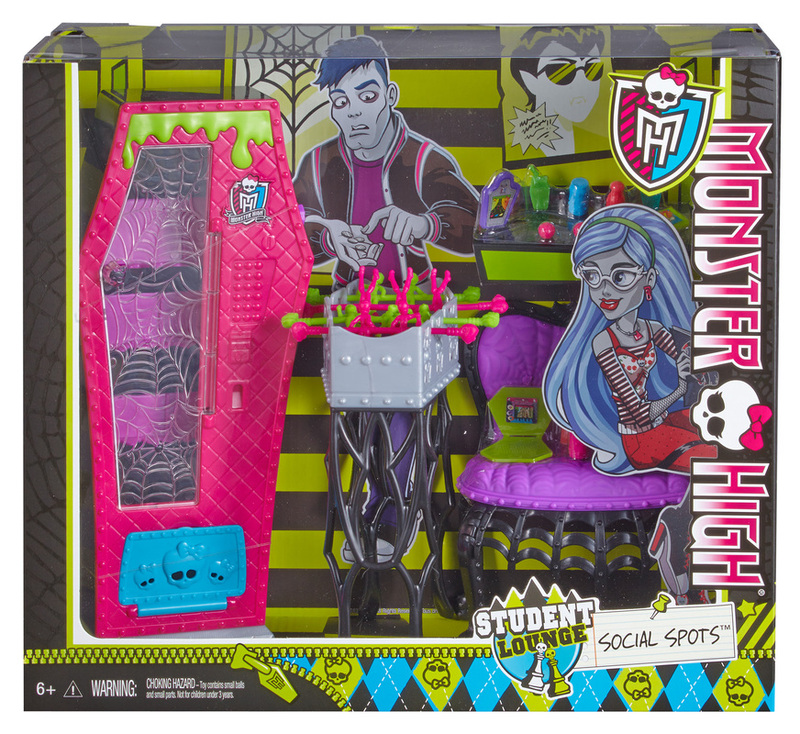 This Student Lounge set lets girls play out favorite scenes from the Monster High webisodes! Fill a monster appetite with a ghoulish snack from the web-decorated vending machine with working doors! 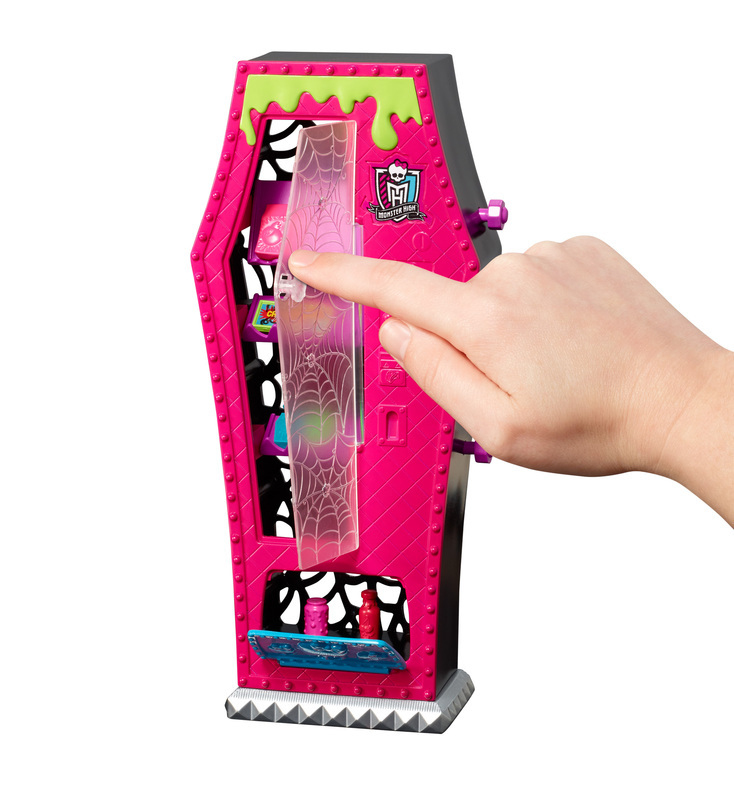 Bury the competition on the working game table - twirl the rods to watch the zombies kick around a brain ball (two are included). 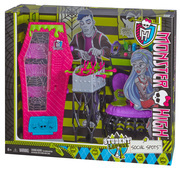 Ghouls who are dead tired can relax on the spooktacular sofa and chase their GFFs with the laptop or iTomb. Clawesome snacks include piranha crackers, cherry juice, two sour apple juice boxes, two soda cans and crunchy mouse tails.